The question "Why do they hate us?" is one of the most oft-cited puzzles of contemporary American affairs, yet it’s not clear to whom "they" or "us" refers, nor even what "hate" means. 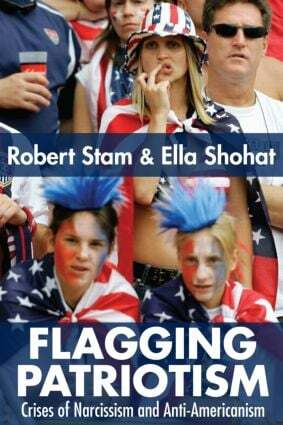 In this bold new work, Ella Shohat and Robert Stam take apart the "hate discourse" of right-wing politics, placing it in an international context. How, for example, do other nations love themselves, and how is that love connected to their attitudes toward America? Is love of country "monogamous" or can one love many countries? When can a country’s self-love be a symptom of self-hatred? Drawing upon their extensive experience with South American, European, and Middle Eastern societies, the authors have written a long engagement with a problem that refuses to go away. Flagging Patriotism considers these complex features of "being patriotic," and in so doing insists that the idea of patriotism, instead of being rejected or embraced, be accorded the complex identity it possesses.